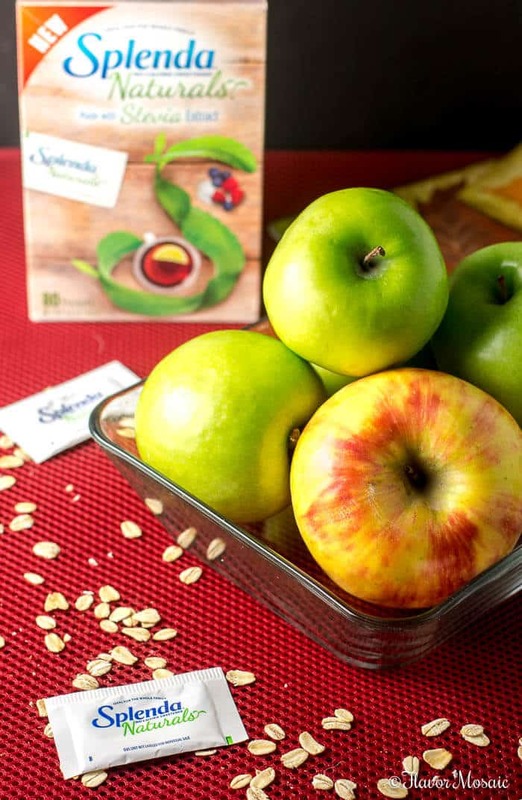 What is different about these bars is that they use SPLENDA® Naturals made with a stevia extract called Reb D, which is one of the most delicious extracts from the stevia leaf. When I tasted the SPLENDA® Naturals, it was sweet and delicious and not bitter at all. For SPLENDA®, “natural” means no added flavors or colors, no preservatives, and only non-GMO ingredients made by minimal and common processes. 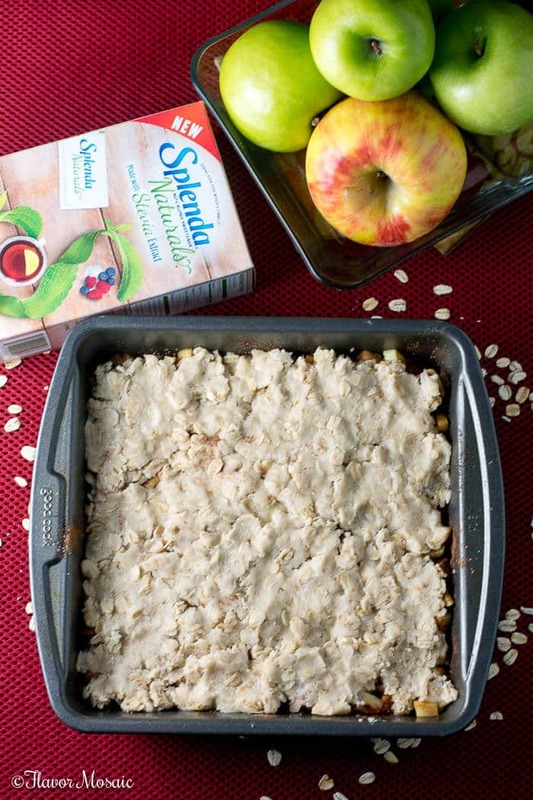 For more info on how the SPLENDA® Brand does naturals, visit splendanaturals.com, and get some delicious recipes as well. 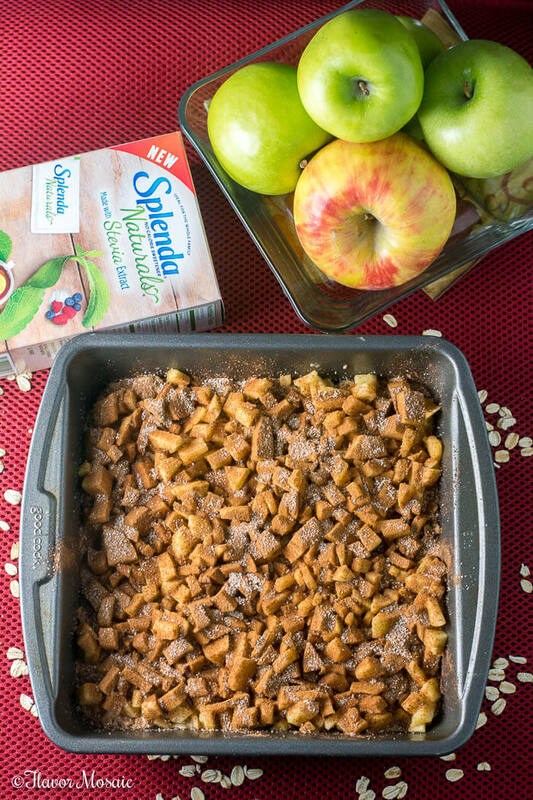 I wanted to make a Fall dessert, like this Apple Pecan Cream Cheese Cake or this Cinnamon Apple Pie Bread Pudding, using the new SPLENDA® Naturals, so I made these Apple Cinnamon Oat Crunch Bars with a cinnamon “sugar” instead of a high sugar caramel. 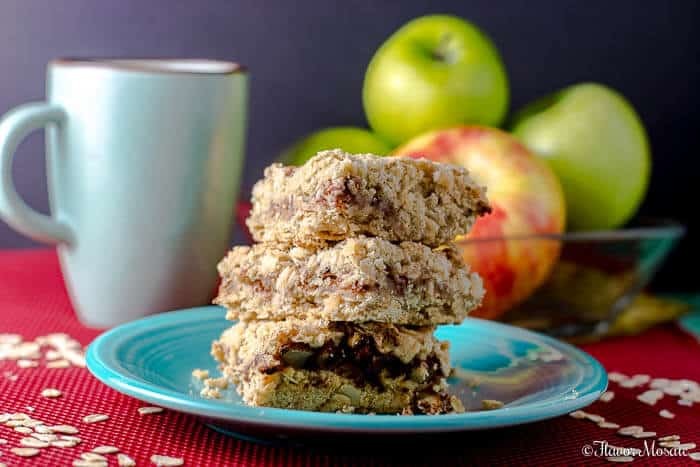 What I love about these Apple Cinnamon Oat Crunch Bars is that not only are they delicious, they are easy to make as well. 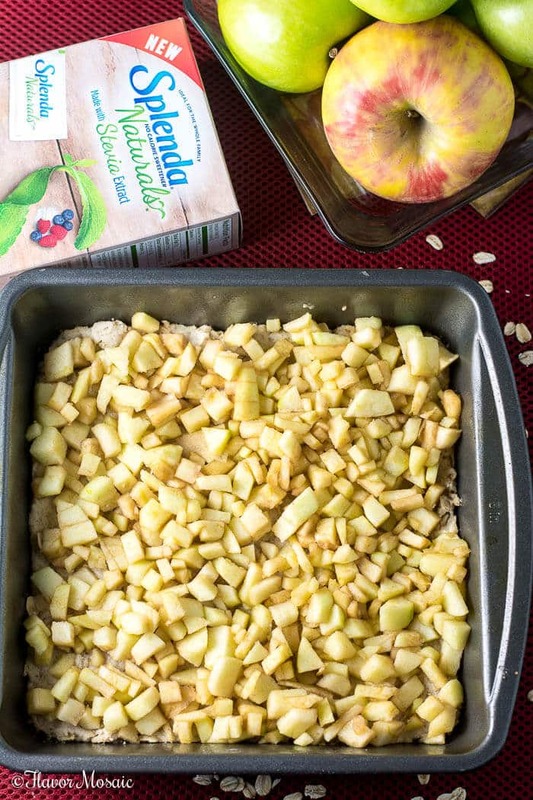 Make a crumbly crust and press half of that mixture on the bottom of a 9×9 pan and then top with chopped green apples. I used Granny Smith apples, but you could use any type of apples you like. 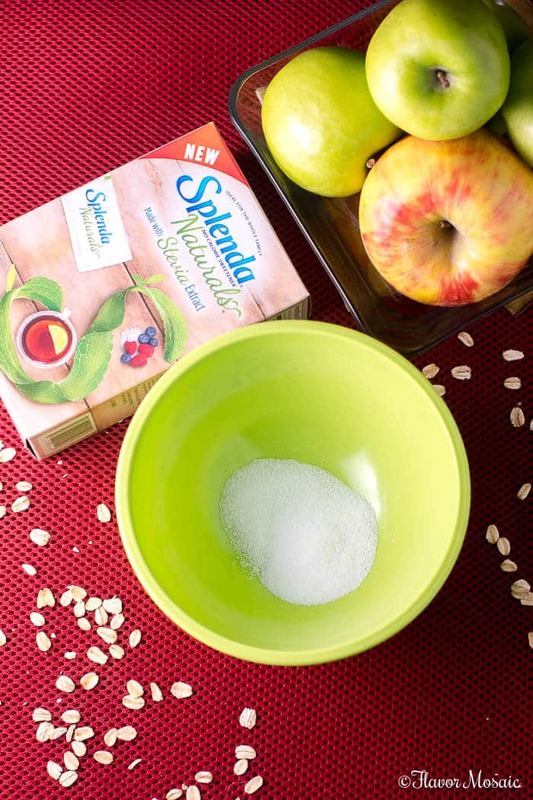 In a small bowl, I added 6 packets of SPLENDA® Naturals, which is equivalent to 1/4 cup sugar. I added 2 teaspoons of cinnamon to make the cinnamon “sugar” and sprinkled it over the top of the apples. I reserved a little bit of the cinnamon sugar so I could sprinkle over the top of the bars. The remaining crumbly crust batter is placed on top of the apple mixture. 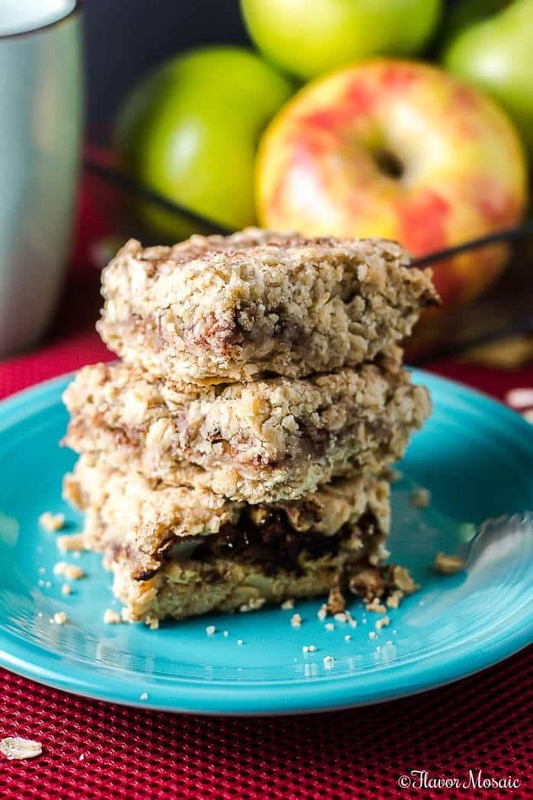 Then these Apple Cinnamon Oat Crunch Bars are baked in the oven for about 30 minutes. 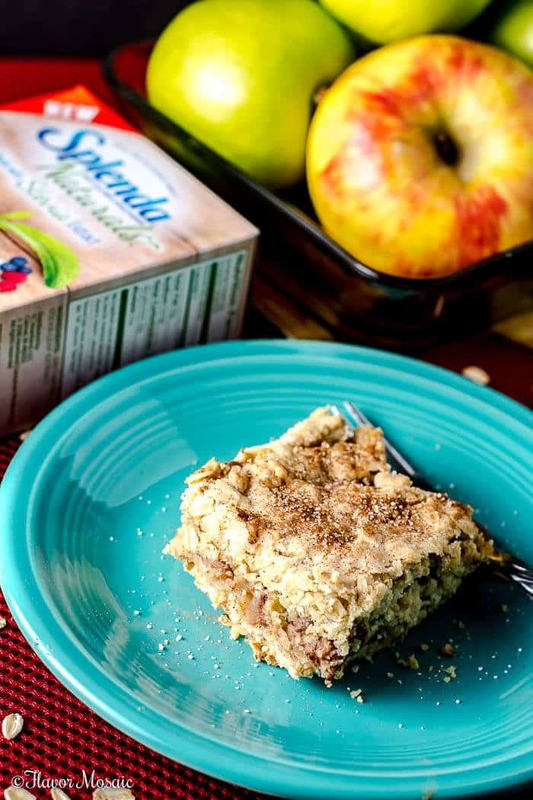 What will you serve with these Apple Cinnamon Oat Crunch Bars? In a mixing bowl, combine flour, oats, salt and baking soda. In a large mixing bowl, blend together butter and SPLENDA® Naturals Stevia Sweetener with an electric mixer on medium speed until smooth. Add dry ingredients and blend to form a crumbly mixture. Measure and set aside 2 cups crumbs. 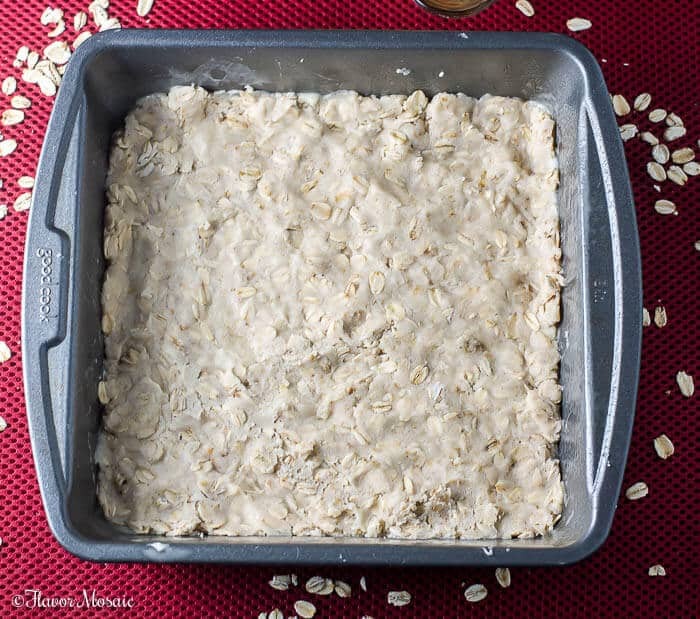 Press remaining crumbs into a 9x9 inch pan. Spread apples into an even layer over crust. 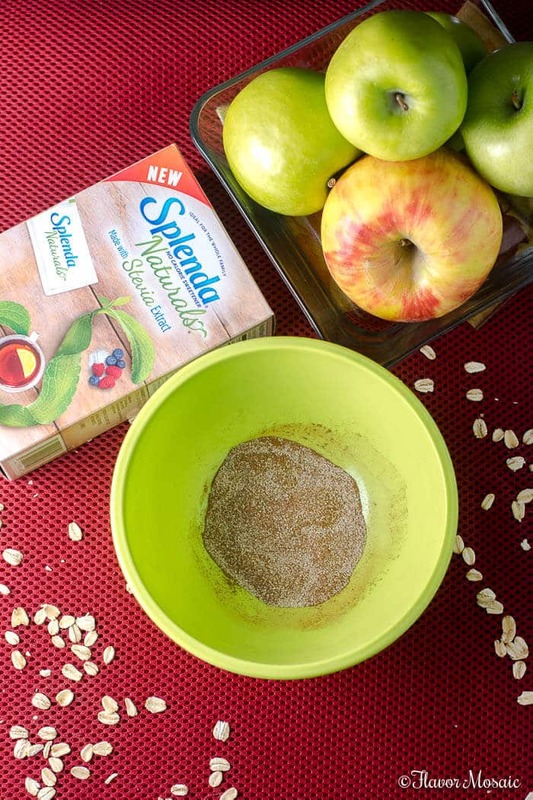 In a small bowl combine 6 packets SPLENDA® Naturals Stevia Sweetener and cinnamon. Sprinkle cinnamon mixture over the apples. Bake 30 - 40 minutes. These bars look so beautiful and delicious! These look delicious! I’m with you I love all of the fall flavors! I’m going to pin this and make them for my Mother in Law who is diabetic. They will be perfect! Nothing says autumn better than apples, cinnamon and oats. Delectable. These bars look amazing! My daughter would go nuts for them! Beautiful pictures! I can’t wait to try this recipe out. Love it!!! These bars are amazing! I want to make them ASAP! Love baking with apples! Yum!! 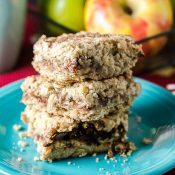 I’ve been obsessed with homemade oat bars lately, and this sounds like the perfect recipe to join my arsenal of oat bar recipes! Thanks for sharing!